Asphalt shingle is a roofing material that uses asphalt for waterproofing. It is one of the most common shingle types in North America. Asphalt shingles are available in a wide range of shapes and colors. If your residential property has a sloped roof, the chances are that you will be considering installing asphalt shingles at some point. There are, in essence, two categories of asphalt shingles: organic and fiberglass. Organic asphalt shingles consist of paper and a coat of asphalt. A fiberglass asphalt shingle is a layer of random-laid glass fibers that are bonded with urea-formaldehyde resin that also has an asphalt coat. Fiberglass asphalt shingles are by far the most common category. Keep reading to learn more about asphalt shingles, their benefits, and to find out if this is the most suitable roofing material for you. Asphalt roofing options are available in a wide variety of colors, textures, and styles. If you opt for asphalt shingles, you will be able to match the appearance of your roof to its surroundings. Asphalt shingles can also be made to resemble wood, cedar, or slate. Since you have ample control over the appearance of the roofing material, you can choose a color and style that meets your taste. If, for example, you want to increase the value of your home, asphalt shingles will allow for an optimal aesthetic appeal. When it comes to the durability and longevity, asphalt shingles outperform almost every other type of roofing material. Asphalt shingles have a 100-year proven track record in the United States, and it has a low risk of leaks. Another performance advantage of asphalt shingles is their weight. Asphalt shingles are light enough to ensure minimal strain on the structure of your house but also sturdy enough so to provide sufficient uplift resistance. Asphalt shingles also have excellent fire resistance. The environmental friendliness of asphalt shingles is a significant consideration for some property owners. When asphalt shingles reach the end of their long lifespans, they can be recycled. Recycled asphalt shingles are widely used in pavements and flat roofing, which reduces their costs. In comparison with other conventional roofing materials, asphalt shingles are affordable. The fact that asphalt shingles are so durable, long-lasting, and resistant to leaks makes it one of the most affordable roofing options over the long run. Apart from being long-lasting, affordable, and recyclable, asphalt roofing is also easy to install and repair. The maintenance requirements of asphalt shingles are also incredibly low, and there are no structural reinforcements necessary to carry their weight. Asphalt shingles are also widely available throughout the United States. To choose the best asphalt shingle for your roof, you have to understand the difference between these three types. Dimensional shingles are also called architectural or laminate shingles. A dimensional shingle consists of two layers of asphalt and often has the appearance of wood or slate. Dimensional shingles are typically more substantial than other types and have improved warranty protection. Strip shingles are conventional asphalt shingles. 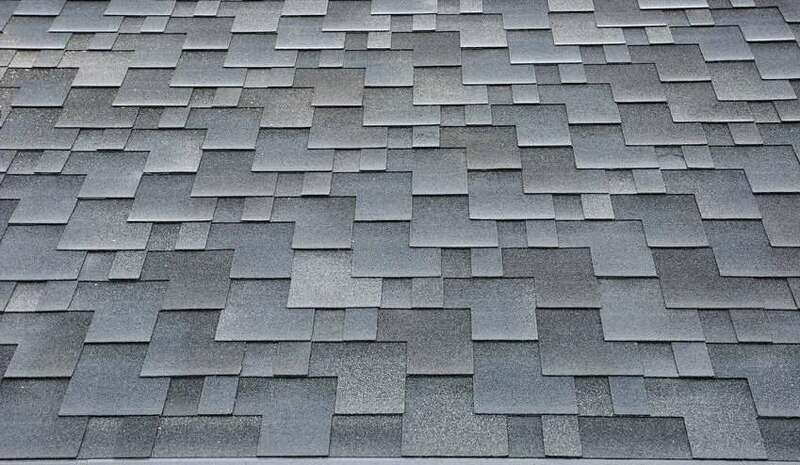 Unlike dimensional asphalt shingles, strip shingles only consist of one layer of asphalt, which means that it is thinner, lighter, and more affordable than dimensional shingles. Strip shingles are more suitable to lower-cost home construction or as a material for roofs that already have a layer of shingles. Strip shingles look similar to slate. If you want a high-quality roofing material that is durable and that closely resembles traditional wood shake or quarried slate, you may want to consider luxury shingles. It is at the highest quality of all asphalt roofing options. Luxury shingles weigh more than dimensional shingles and offer better longevity and protection against the elements. This type of asphalt shingle is also the most expensive. Although asphalt shingle installation is relatively simple, it is best left to professionals. At M&J Roofing and Exteriors, we specialize in providing cost-effective and high-quality asphalt shingle installation solutions. Call us today to arrange for a free asphalt roofing estimate. When we install asphalt shingles on a roof, we take great care to carry out the installation correctly to ensure the longest possible lifespan and minimal long-term maintenance. To ensure congruency and precision, we work from left to right, top to bottom. As part of our installation services, we also flash all the valleys and seems, as most roof leaks occur where two roof sections meet. If the colors of the shingles vary slightly, we also complete the installation of one shingle before moving on the next to ensure that there are not several different colors in one area on the roof. Before we carry out an asphalt shingle installation, we inspect the plywood sheathing deck to ensure that it is in good shape. We also examine the new sheet material to ensure that it is approved for roof decking. Proper asphalt shingles require not only the correct nail type but also the correct nailing technique. At M&J Roofing and Exteriors, we only use roofing nails that are made from galvanized steel and that are corrosion resistant. We also take care to use the correct number of nails, and all our fasteners penetrate at least 0.75 inches into the wood deck. If you want to save money by installing a layer of asphalt shingles over an existing layer, M&J Roofing and Exteriors can help you if you are permitted to do so by the relevant building codes. If you own a property in Indianapolis and feel that asphalt shingles are a suitable roofing material for your property, contact M&J Roofing and Exteriors today. Our team is standing by to provide you with a free asphalt roofing quote, sufficient information on asphalt shingles, and high-quality asphalt shingle installation solutions.